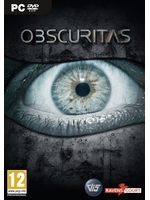 Obscuritas is releasing tomorrow at retail. The puzzle horror game from VIS Entertainment deals with a Mansion and its secrets inherited by Sarah from her uncle. The title features a fear profile system which makes the Mansion reacts differently depanding on the player's behaviour.